Mark Genevich is a South Boston P.I. with a little problem: he's narcoleptic, and he suffers from the most severe symptoms, including hypnagogic hallucinations. These waking dreams wreak havoc for a guy who depends on real-life clues to make his living. Clients haven't exactly been beating down the door when Mark meets Jennifer Times—daughter of the powerful local D.A. and a contestant on American Star—who walks into his office with an outlandish story about a man who stole her fingers. He awakes from his latest hallucination alone, but on his desk is a manila envelope containing risqué photos of Jennifer. Are the pictures real, and if so, is Mark hunting a blackmailer, or worse? 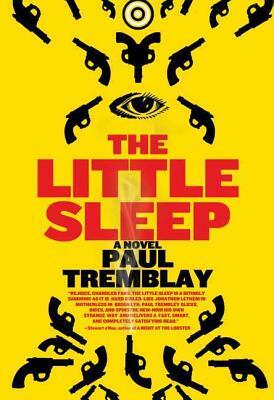 Wildly imaginative and with a pitch-perfect voice, Paul Tremblay's The Little Sleep is the first in a new series that casts a fresh eye on the rigors of detective work, and introduces a character who has a lot to prove—if only he can stay awake long enough to do it. Paul Tremblay is the author of No Sleep Till Wonderland and The Little Sleep. He has won acclaim for his short fiction and received two nominations for the 2007 Bram Stoker Award, and he lives in Massachusetts with his wife and two children.